I've had a thing for motorcycles as long as I can remember. 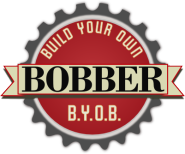 Now that I'm on the cusp of turning 60 this year, it's finally time to build my own bobber. It may be my first and last build, or it may be the first of many. Only time and my aching back will tell. Is my hiatus over yet? My sandblasting rig is a blast! Almost 50 years after I chopped my first bicycle, I'm building my first bobber from a 1984 ZN Kawasaki LTD, in my garage, using basic tools. Follow along.